A801 Avon Gorge was closed for emergency repairs. A busy route between Falkirk and Bathgate which had been closed for repairs has now reopened. The A801 Avon Gorge road was closed to traffic in March after it was discovered emergency repairs were required on the carriageway and embankment, but this afternoon (Friday) Falkirk Council confirmed the road was open again. The news will be welcomed by motorists who faced an eight mile detour during the closure as well as those living on the diversion route in villages such as Avonbridge and Standburn. 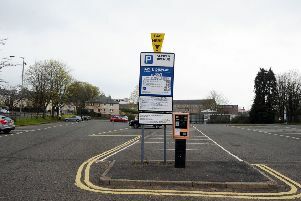 The route had been expected to be closed until next Friday, May 18 after Falkirk Council had previously added three weeks on to their initial five week schedule for the repairs. The A801 was first closed on March 21 for emergency repairs after significant cracks were discovered in the carriageway. The suitability of the road through the gorge has been under fire for many years and the recent closure for the emergency repairs has raised questions on its future once again. Falkirk and West Lothian Councils and Transport Scotland are continuing to pledge their support to a replacement road, however it is not likely to happen for a few more years.